ECITA attacks MHRA`s `insidious` programme of research: Katherine Devlin of ECITA analyses the MHRA`s research programme into e-cigarettes, and finds reason for deep suspicion. Professor states politics, not public health, driving tobacco control: The latest revelations on the Tobacco Analysis Blog. Vaper Monthly: New electronic cigarette magazine, professionally laid out and downloadable in a pdf format. National Vaper`s Club promotes freedom of choice in Times Square. Together with a new website called Choose Vape they hope to raise awareness about the awesomeness of electronic cigarettes. Utah to make possession of nicotine a crime: Buying cigarettes or e-cigarettes could soon be illegal in Utah. Dream on, Utah politicians! Smoking at home to be made illegal: Even some members of the anti-smoking movement are shocked at this invasion on privacy in Belmont. EU to ban smoking in pub gardens – as 6 pubs a day go bankrupt. Goodbye pub culture! Have I missed any great links? Let me know! MHRA: Don’t restrict access to the e-cigarette! 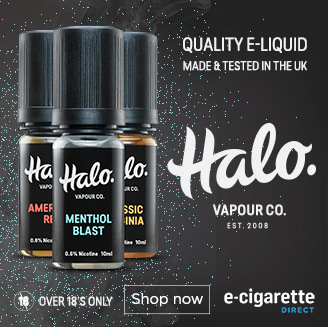 The best e-cigarettes on the net!